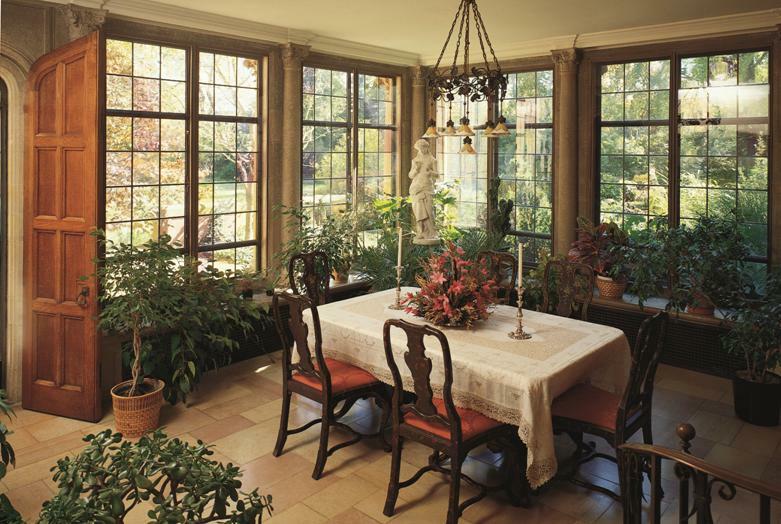 Mr. Paine envisioned this room as an enclosed porch linking the outside landscape and Wisconsin’s changing seasons with a garden-like interior. The Breakfast Room’s early 20th-century American influences create a setting that is less formal than other first floor rooms. The tinted glass panes in the windows, here and throughout the mansion, were created to look as if they were made hundreds of years ago, with varying bubbles, streaks, and color.